One of the major themes for this years OPTECH was “smart technology”. As a provider of smart technology, Dwelo saw an increasing amount of exposure and interest from attendees. Dwelo uses smart home technology to benefit multifamily owners, managers, and residents. 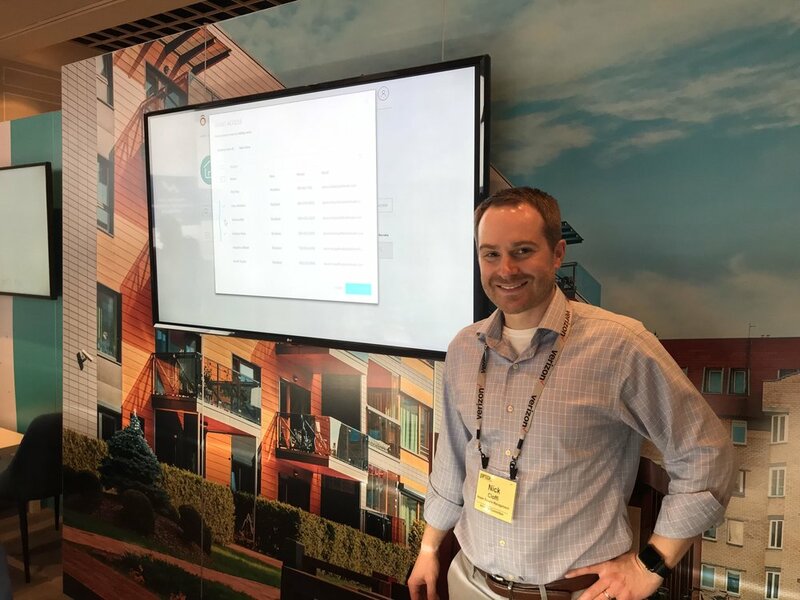 Owners and managers got to see hands-on how Dwelo works and a few of the 3rd party devices we work with like Nest, Amazon, Yale, Kwikset, GE, PDK, and others. Attendees were also excited about the announcement of partnerships being made between tech providers and apartment owners. For example, the partnership between Dwelo, Nest, and Alliance Residential drove a lot of attendees to our booth. Check out the attendees interacting with our smart booth! Dwelo had an amazing time at this year’s NMHC OPTECH. Did you attend? If we didn't get a chance to meet click here. We would love to get to know you.